Video Clip: A night at the Getty - a few years ago. Screen One now just uses FM broadcasting and doesn't use speakers anymore. 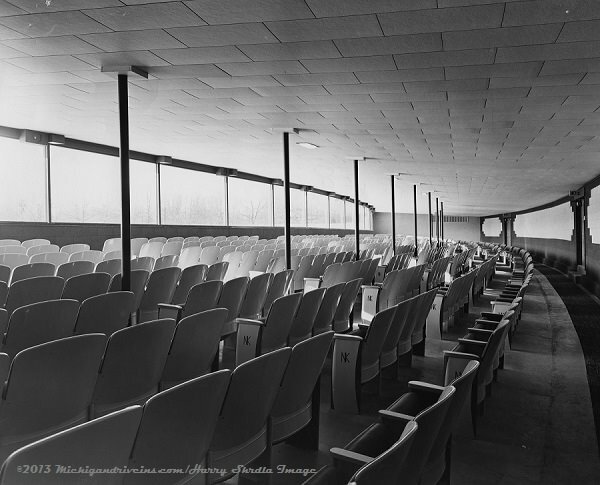 According to a Getty manager this is due to when they installed the digital projectors they added fiber optic cables underneath Theater One and it severed the speaker wiring in that theater. So now it's soley FM transmission for Screen One. Screens Two thru Four, however, still has their speakers. 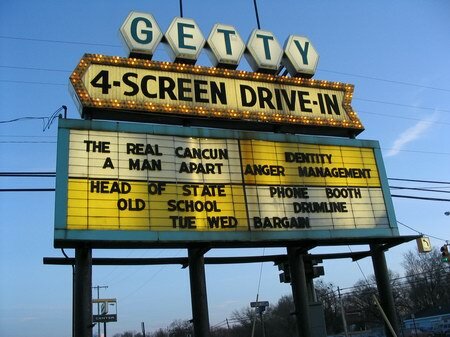 The Getty 4 has now converted to digital projection on all 4 screens. One night only special winter event,On Saturday, January 23, the Getty Drive In Theatre and WLAV''s Kevin Matthews Present MARGIES FISH & CHIPPER FILM FESTIVAL featuring a film presentation of the movie FARGO. 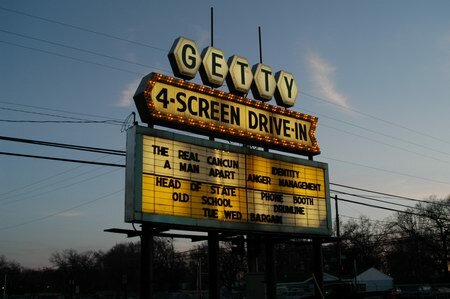 Gates to the Getty Drive In open at 3:00 (snow or shine). 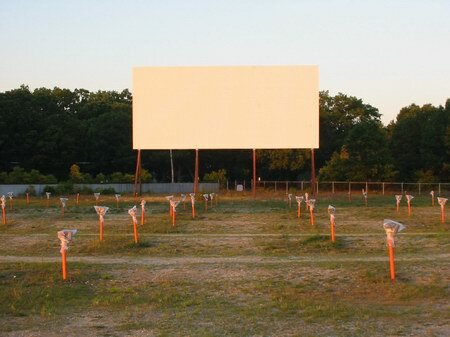 the movie begins at dusk. 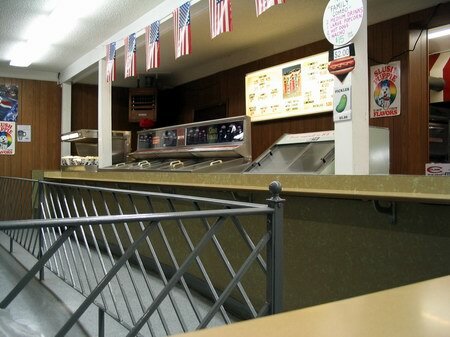 Prior to the movie, a fish frying contest will take place in which 10 contestants will fry up at least 10 pounds of fish for the judges and guests. A cash prize will be awarded to the winner along with the Margies Cup trophy. 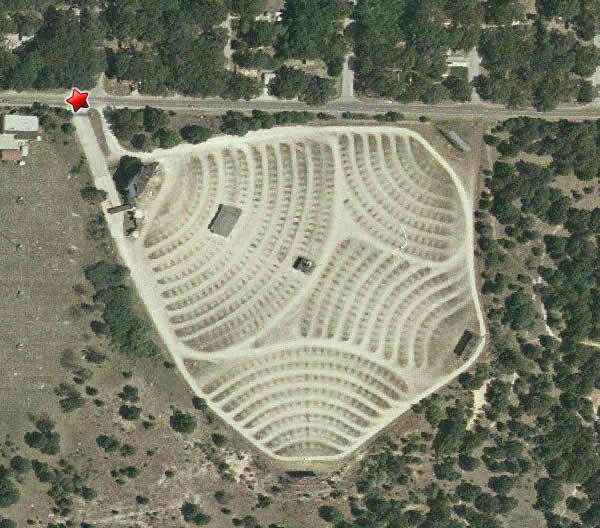 Also, five campfires will be blazing to help keep folks warm and available for roasting marshmallows and hot dogs. Itâ€™s kind of like a winter picnic (bring your own beverages and free hot chocolate will be served). There will be snowmobile and motorcycle demonstrations as well as other fun and games including a â€œbring something for the wood-chipper? game. 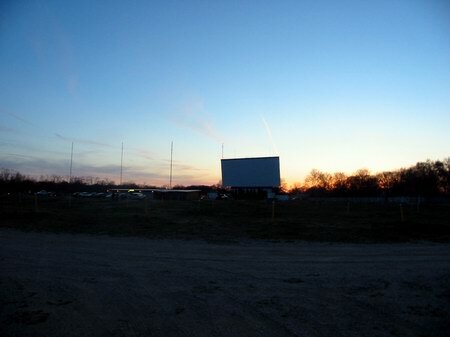 Then, at dusk, FARGO hits the big screen. 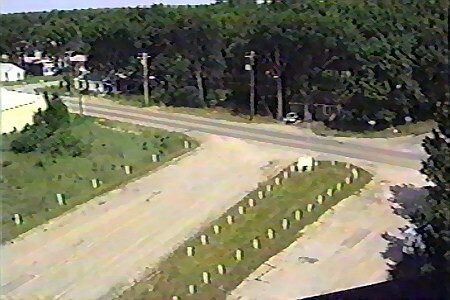 FARGO (rated R, 1996) is set in Fargo, North Dakota, in the winter so guest will have no trouble getting a feel for how cold it was when Margie found Jean Lundegaard''s body by the wood chipper. 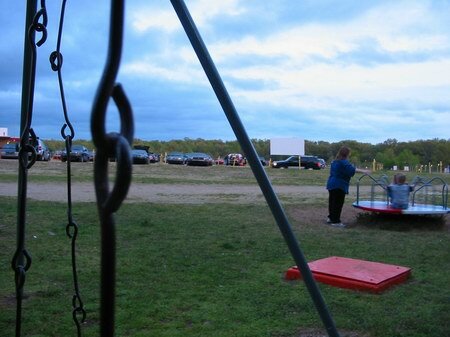 Guests will have the option of watching the movie while sitting around the campfire or in their cars. Admission is $10 per person (or $25 per carload). No one under 17 admitted. The price includes the fish, the flick and the fun. 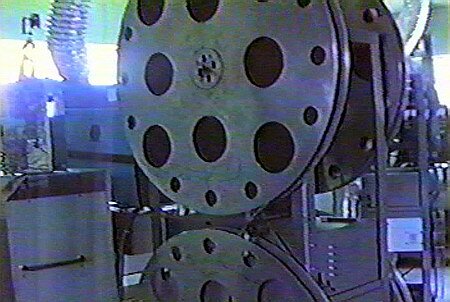 http://celebrationcinema. The Getty is set to open on April 20th, weather permitting. Get ready for 4 screens of double features and good times for the summer. The demolition phase of the renovation of screen #1 at the Getty Four is quickly wrapping up! 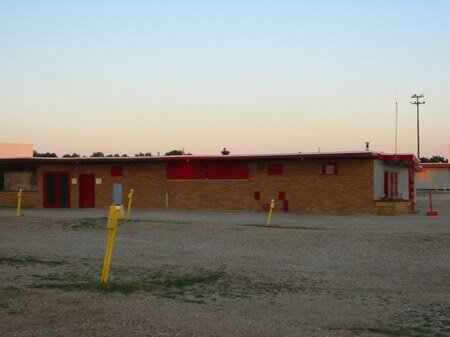 The demolition team expects to be done with their work by this Saturday April 1st. The Getty is scheduled to open on Friday April 21st for its 2006 season - its 57th season. 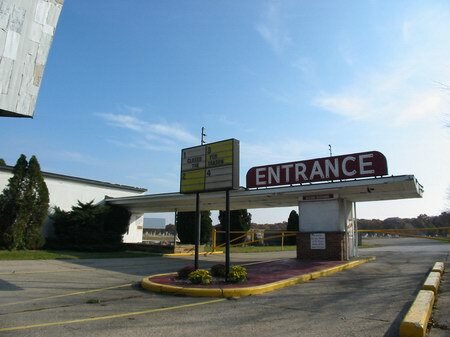 Renovation plans are still being worked on by JLT Corporate, but no official word yet. New pictures submitted today. 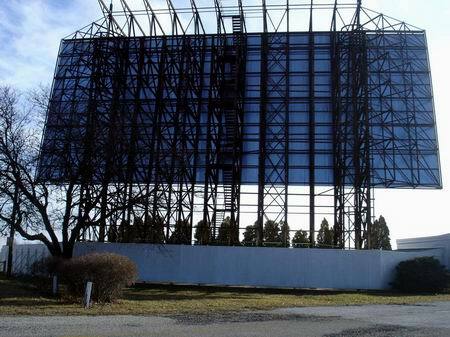 To those wondering about whether or not Screen #1 will remain, according to a friend who works for Loeks stated that he was told that the screen will remain, the structure is plenty sturdy enough. theyre just re-doing the exterior. 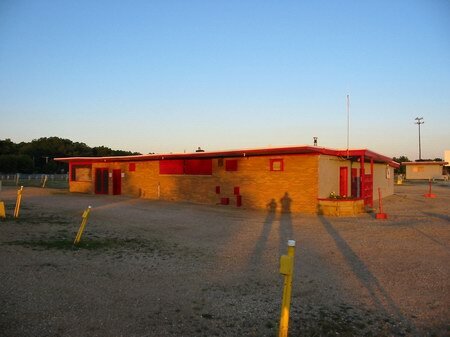 Hopefully it will be redone to something resembling its former grandeur. 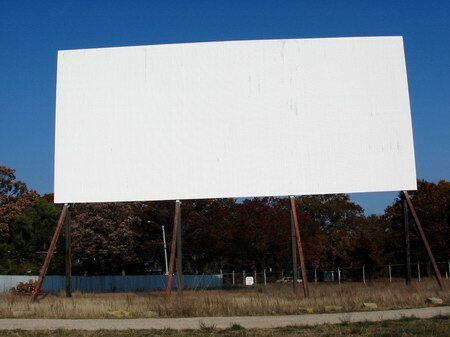 Demo continues with the weather co-operating - today the DRIVE IN letters off the front of the main screen were removed. All thats left is the center section below the old DI letters were and where the old Neon Island sceen used to be. One of the pictures submitted today show parts of the broken and rusted letters on the ground. The work crew estimated about a week and a half left to complete the de-skining process. 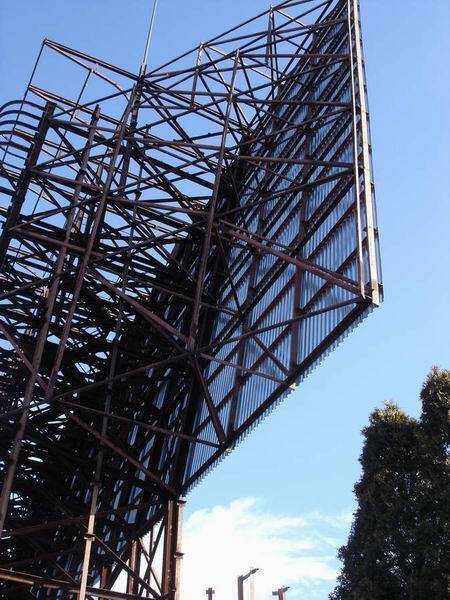 With demolition of the screen face and both the upper and lower roofs complete, the continuing work has now moved to the opposite side of the screen. This is the side that had most of its prominent architectural features and is the most visible when entering the theatre. 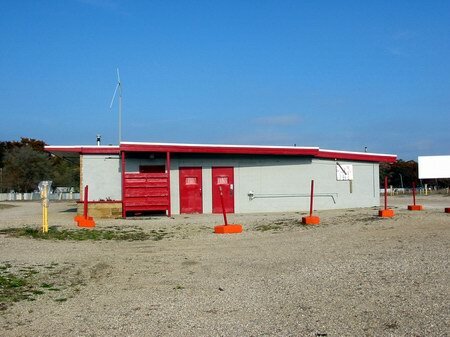 The furthest wing near the box office is nearly complete & the Center section & the other wing will be stripped of the wood & metal this week weather permitting. 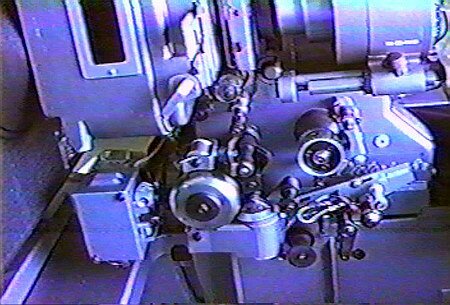 The final section will be the base below the screen line. 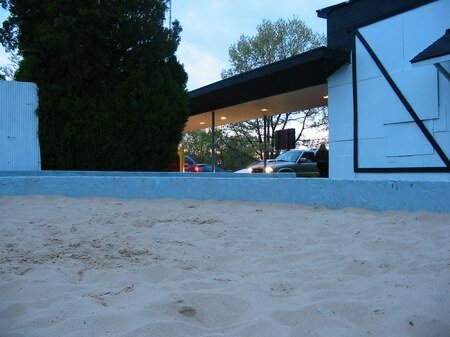 I have submitted three additional pictures today that show the latest demo work. 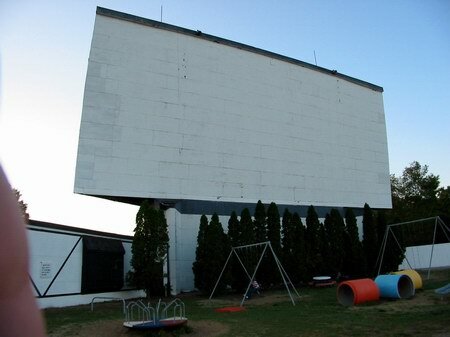 Demolition of screen #1 continues. The screen face is all gone now as is most of main roof. Submitted two new photos today. Note on front view - if you look right in the center - you can see the original center staircase that rises all the way to the roof. The Getty will be opening at the end of April most likely the week after Easter Sunday weather permitting for the 2006 season - with or without screen #1. 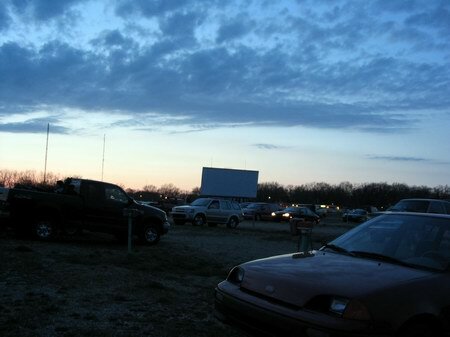 From the Muskegon Chronicle Work begins on Getty Drive-In screen Tuesday, March 07, 2006 By Lynn Moore - CHRONICLE STAFF WRITER The oldest movie screen at the Getty 4 Drive-In is being removed for safety reasons, and its uncertain whether the complex will soon become the Getty 3. 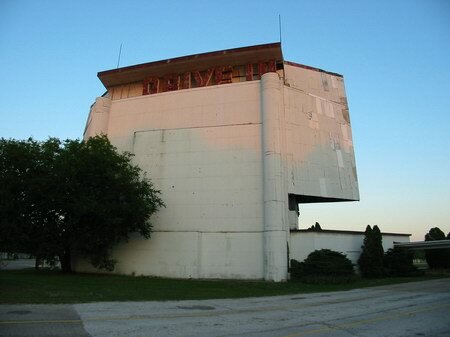 Age and wind damage had made the cement board and plywood screen unsafe, said Ron Van Timmeren, vice president of marketing and film for Loeks Theatres Inc. , which owns the Norton Shores complex. 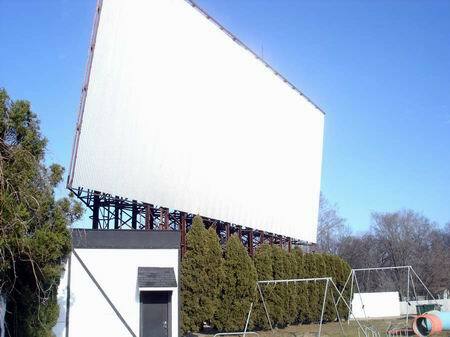 Officials are uncertain whether the company can afford to replace screen No. 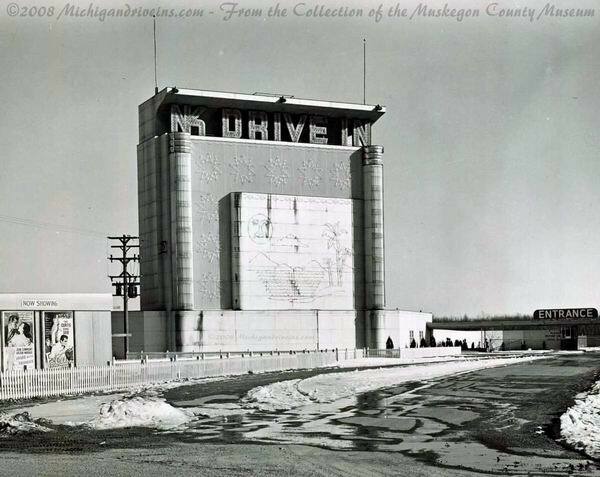 1 with the same metal screen used on the drive-ins three other theater towers, Van Timmeren said. 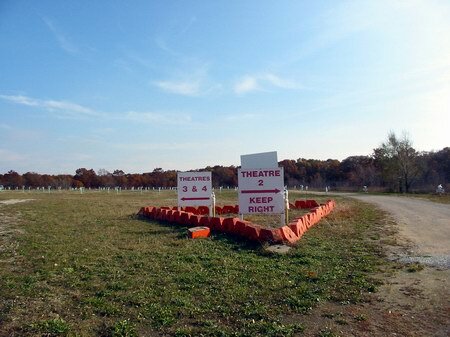 Nonetheless, the company is committed to opening for the season in April, he said. We certainly are committed to the safety of our guests. That was the No. 1 issue at hand, he said. 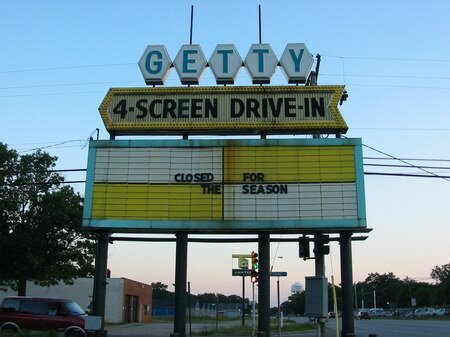 Yes, the Getty Drive-in is still a viable movie theater, albeit seasonal. We want to continue to operate even though theres some question about how much its going to cost to get that screen back up. He said the only quote to replace the screen was well over $100,000. Thats just not going to work, so were looking for alternatives to the one bid weve gotten so far, Van Timmeren said. He said a lot depends on the integrity of the metal tower frame that supports the screen. 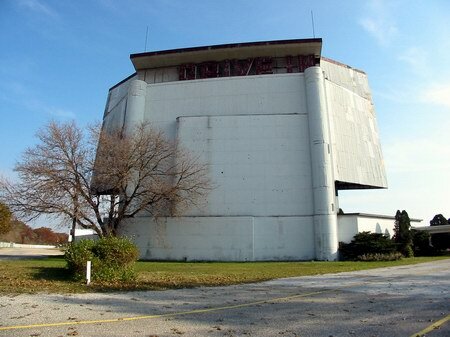 Workers are stripping cement board, plywood, sheet metal and roofing from the tower, which was built in 1966. 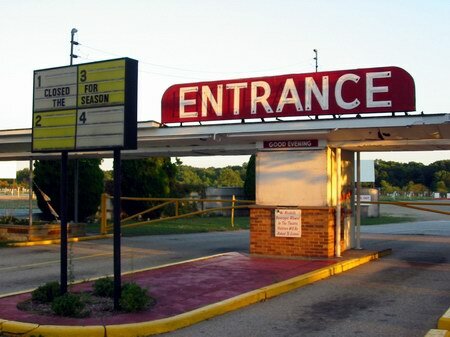 After flirting with selling the drive-in movie complex in 2001, officials of the Grand Rapids-based Loeks Theatres have since said theyve dropped the idea of other development at the location off Getty Street in Norton Shores. Van Timmeren said the Getty 4 turned a profit in 2005, but called business OK. He said business at all types of theaters was down last year. 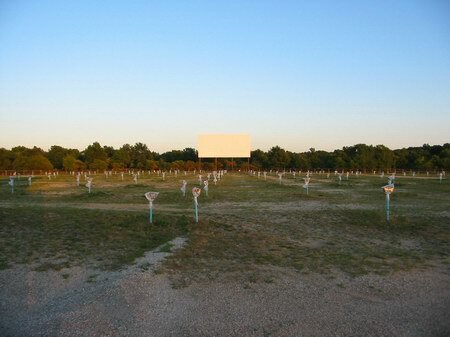 He said many drive-ins went out of business because of demand for valuable property that they sat on. 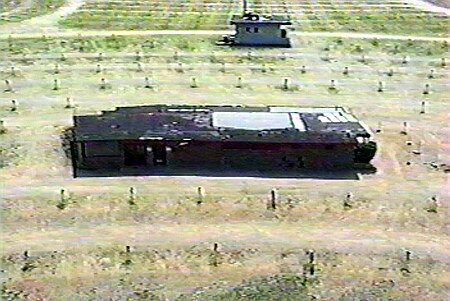 That has not been the case with the Getty 4, allowing it to survive when others havent, he said. 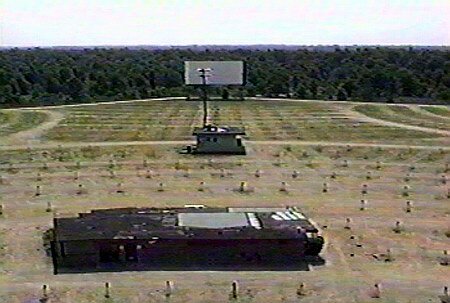 In late September or early October of 2005 an unusual high wind storm came through Muskegon and did some pretty severe damage to the viewing side of screen number one at the Getty Drive in. 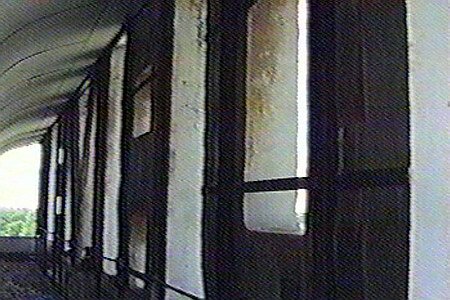 The resulting hole in the screen is about sixteen feet tall at it’s tallest and about twenty two feet wide at it widest. I grew up in this neighborhood & worked at the Getty for a lot of years as well as the North & the Auto drive inn’s and I have never seen this much damage in the past. 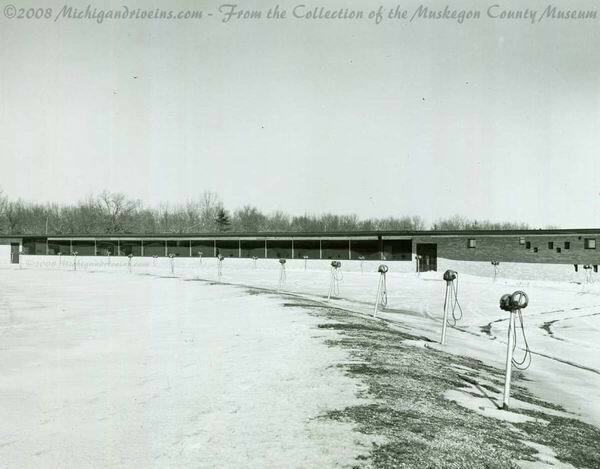 Pictures are submitted by Dan Goodman of Muskegon. 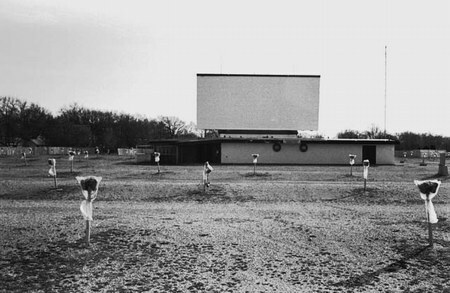 The NK Drive-In reopened for the 1967 season on Tuesday, March 21st, 1967 with a new name: The Getty Drive-In. 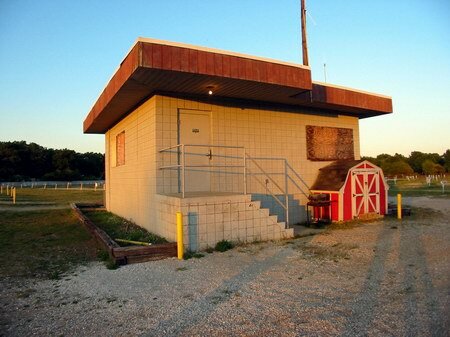 The NK was purchased from Nick Kuris by Jack Loeks, and renamed the Getty. 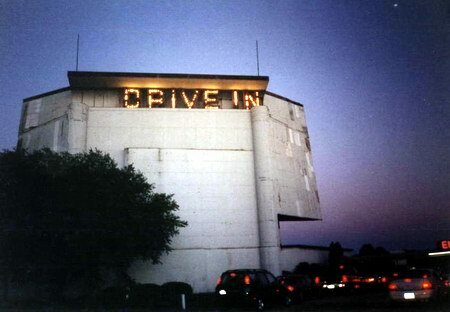 The large light-up N-K letters were subsequently removed from the top of the screen tower, leaving only the word DRIVE-IN, to light up the screen tower at night. Unfortunately, these letters are no longer functional. 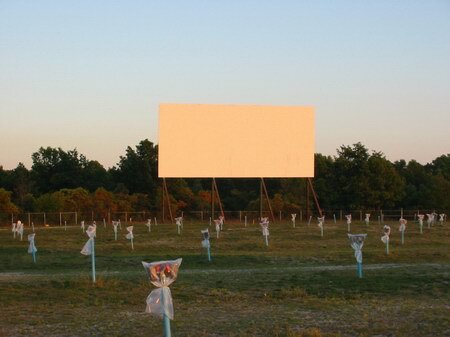 Muskegon Chronicle Jennifer Meese 6/19/2001 The owners of the Getty Drive-In _ the last remaining outdoor movie theater in West Michigan _ have completed a deal to sell the property to developers, who plan to subdivide the land for new homes.